The ownership of goods such as luxury cars, expensive boats and conspicuous consumption, and showing it off to others, transmits a signal informing that owner is capable of bearing expenses. The wealth and status are used to advertise “fitness”, which demonstrates higher quality to potential mates. 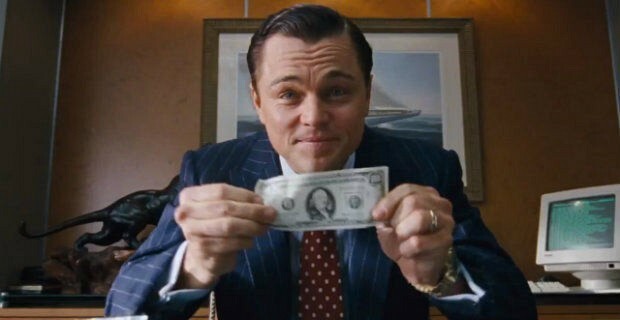 In the Martin Scorsese’s film “The Wolf of Wall Street”, Leonardo DiCaprio (Figure 1) takes the role of a crooked stock trader who has a great talent for conspicuous consumption. As said by his character, Jordan Belfort: “Their money was better off in my pocket – I knew how to spend it better”. Not only did his character spend a fortune on extravagant goods and illegal drugs, but he also used his status to mate with multiple partners. Since the cost of conspicuous consumption is high, in theory there should be few cheaters (underprivileged men) who attempt to mimic these “honest” signallers in order to attract women. In the animal kingdom, signals are important characters since them convey various information from signallers to receivers. The reliability of a signal can change depending on the receiver responding to reliable signals and ignoring non-reliable ones. Moreover, the cost of a signal could affect its reliability since the investment in it could be worthwhile to honest signallers and not worthwhile to cheaters. 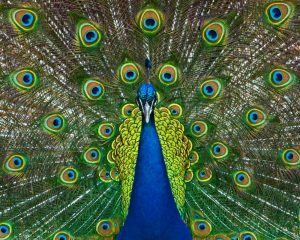 We can take a peacock’s tail for example (Figure 2), which provides positive value to the female. If this signal is really costly (a long and heavy tail), a male not only could look attractive to a female, but the signal could also tell that he has a better chance for survival. As long as a certain quality is not impacting a male’s health, he must be well-adapted in comparison to less adorned ones. This idea was first proposed by Amotz Zahavi (Zahavi, 1975) and it is called the handicap principle. In Zahavi’s handicap principle, the handicap not only is an indicator of genetic quality, but it also needs to be costly in order to ensure that signalling is reliable. Otherwise, low quality males would be able to equally advertise and females would not be able to identify the honest signaller. Although this original idea was largely rejected by many scientists in its earlier days, Alan Grafen’s (Grafen, 1990) paper provided the first full game-theoretical formalization, confirming the plausibility of the handicap principle mathematically. 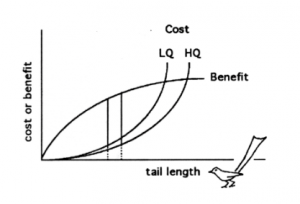 Figure 3, shows how tail length relates to costs and benefits. A costly tail (very long) will be more affordable to high quality (HQ) males than low quality males (LQ). If there is a benefit in tail length due to mating success, the optimal tail length will be higher for a high quality males than for low quality males. Furthermore, if low quality males try to grow a much longer tail than its optimal value, his benefit will decrease, showing that the tail length becomes an honest signal. Therefore, the cost creates a correlation between male quality and tails cost, making a cheating behavior maladaptive. Figure 3. Optimal tail length for a low quality male (LQ) and for a high quality male (HQ) when a long tail is a handicap (Lotem, 1993). Signals can also be directed from prey to predator. Stotting gazelles send signals to predators conveying that they have a lot of energy and they are in good health condition. As described by Zahavi (Zahavi, 1997), “it shows off its strength and fitness by jumping straight up. Only a gazelle certain of its ability to outrun a predator dares squander its strength is this way”. These hard-to-catch prey benefit by differentiating themselves from the overall population, and consequently deter predation. If there was no cost in this signal, there would be a growing number of cheaters, and predators would learn to ignore these false signals. As suggested by Zahavi (Zahavi, 2008) “the signal encodes neither threat nor invitation, but rather dimensions of a quality, i.e. strength, which produces different reactions in different receivers”. Zahavi also infer that signalling systems are by nature collaborations. In order to a signal to be effective, there must be a cooperation between the receiver and the signaller. Therefore, Zahavi implies that the handicap principle guarantee the reliability of signals and it is an essential component in all signals. Grafen, Alan. “Biological signals as handicaps.” Journal of theoretical biology 144.4 (1990): 517-546. Lotem, A. “Secondary sexual ornaments as signals: the handicap approach and three potential problems.” Etologia 3.209-18 (1993). Zahavi, Amotz. “Mate selection—a selection for a handicap.” Journal of theoretical Biology 53.1 (1975): 205-214. Zahavi, Amotz, and Avishag Zahavi. The handicap principle: a missing piece of Darwin’s puzzle. Oxford University Press, 1997. Zahavi, Amotz. “The handicap principle and signalling in collaborative systems.” Sociobiology of communication. Oxford University Press, Oxford (2008): 1-11.